Have you ever dreamt of circumnavigating the globe? 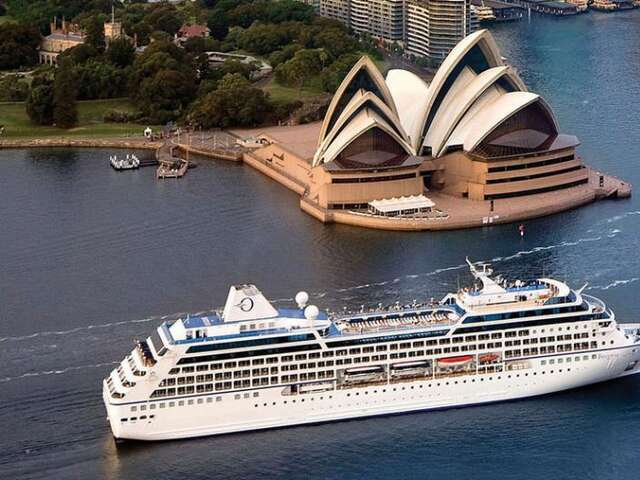 Oceania Cruises has launched its Around the World in 180 Days voyage for 2018. Have you ever dreamt of circumnavigating the globe? Oceania Cruises has launched its Around the World in 180 Days voyage for 2018. The five-continent voyage departs Miami on Jan. 3, 2018 and returns July 1, 2018. Aboard the 684-passenger Insignia, the journey takes guests 39,000 nautical miles across three oceans while visiting 87 ports of call in 40 countries. Catering to guests that yearn to explore the far reaches of this vast and wonderful world, Oceania Cruises has designed two epic voyages that can fulfill every traveller’s grandest dream. From magnificent cities and quaint coastal towns to soaring mountains and island paradises, Insignia will be your lavish home away from home for 180 extraordinary days. Discover all of the world’s greatest wonders on these unforgettable journeys, creating memories that will last a lifetime. The 2017 departure disembarks Miami on January 6, returning back to Miami on July 6, 2017. The 2018 departure disembarks Miami on January 3, returning back to Miami on July 1, 2018. View cruise details. Sail from the Atlantic to the Pacific through the extraordinary Panama Canal, stopping along the Pacific Riviera and continuing north. Go on safari in South Africa, ponder the pagodas of Thailand, and take in astonishing city views from the soaring skyscrapers of China. Float in a Tahitian lagoon and climb the Sydney Harbour Bridge. Along the way, unwind with leisurely days at sea and dine on exquisite cuisine.